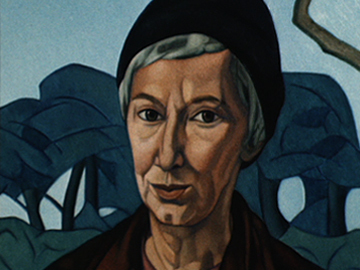 This 1983 episode of arts series Kaleidoscope profiles the life of Rita Angus, whose paintings won critical acclaim both in New Zealand and abroad. After growing up in Hastings and Palmerston North, Angus moved down to Christchurch, initially to study at Canterbury College School of Art. Later she spent more than a decade in the Wellington suburb of Thorndon. 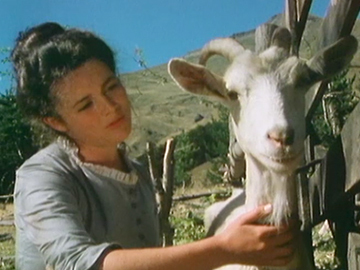 Featuring interviews with those who knew her at various stages of her life, and numerous examples of her work, this half-hour documentary provides a thorough overview of who Rita Angus was. 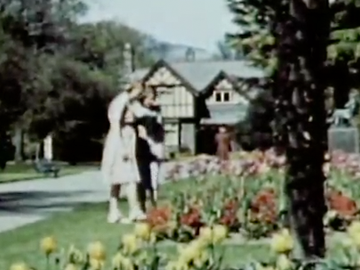 This promotional travelogue, made for the Christchurch City Council, shows off the city and its environs. 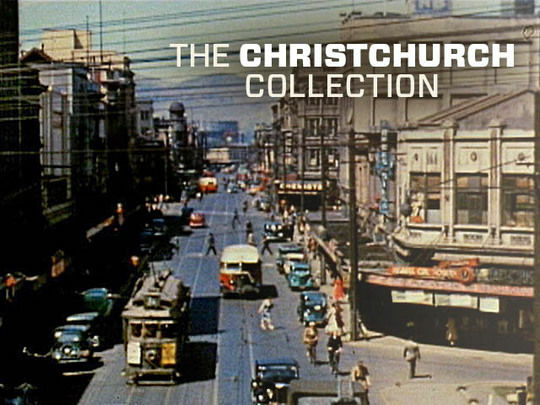 Filmed at a time when New Zealand’s post-war economy was booming as it continued its role as a farmyard for the “Old Country”, it depicts Christchurch as a prosperous city, confident in its green and pleasant self-image as a “better Britain” (as James Belich coined NZ’s relationship to England), and architecturally dominated by its cathedrals, churches and schools. Many of these buildings were severely damaged or destroyed in the earthquakes of 2010 and 2011. The youngest of eight children from a prominent Canterbury family, brothers Robin and Gordon Harper signed up eagerly to enlist in World War l. The Harpers fought in Turkey and Egypt as machine gunners with the Canterbury Mounted Rifles, earning medals for their bravery at Hill 60 in Gallipoli. 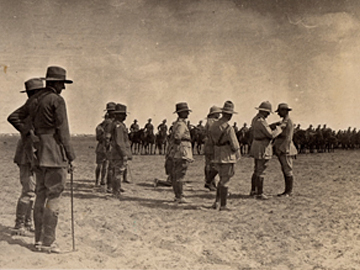 Using their farming skills, the brothers found each other on the battlefield with their distinctive dog whistles. Susan Harper, a relative of the pair, displays a Turkish machine gun one of the brothers brought home. The other sibling was killed in battle in Egypt. Sensuous expressions of landscape and the human form made Edward Bullmore (aka Ted Bullmore) a pioneer of surrealism in New Zealand art. 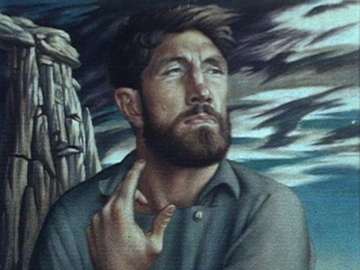 This Kaleidoscope report interviews the painter’s colleagues and family, and surveys the artist’s life and career: from an unlikely mix of Balclutha farm boy, Canterbury rep rugby player and Ilam art student, to success in 60s London – exhibiting with René Magritte and Salvador Dali, and having his works used by Stanley Kubrick in film A Clockwork Orange – before returning to teach in Rotorua (and obscurity), and his untimely death in 1978. A salient public safety segment in this edition of the National Film Unit’s long-running magazine series looks at 'prudence at home', and the ways that stoves, jugs and fires can be dangerous to children. Other segments include a visit to a Gisborne health camp where youngsters are finishing their seven week course of dietary and exercise lessons. And a jaunt to Canterbury’s frozen Lake Ida for skating, pies, and ice hockey concludes that ‘winter can be fun’. A car-drawn toboggan looks it — though the ice rescue demonstration will not convince all viewers. Shot in modern-day North Canterbury, Netherwood is the kind of back country thriller in which few of the locals can be trusted. 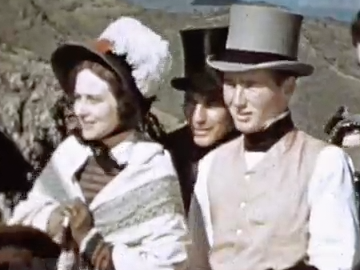 Black-hatted drifter Stanley Harris (one time Shortland Street surgeon Owen Black) arrives in a small South Island town, and finds himself facing off against the local bully (Will Hall), the local beauty (Miriama Smith) and the local land baron (Peter McCauley). The behind the scenes documentary follows Hall and Black on a 20-stop 'Rural Roadshow', as they tour the finished low budget feature around the country.